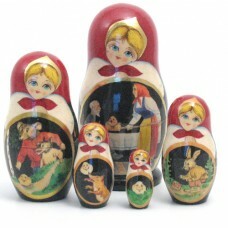 Russian Dolls that tell a story - either Russian or English and sometimes a mixture of the two. 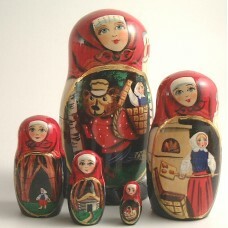 The Russian story which is the same as the British Gingerbread Man story. 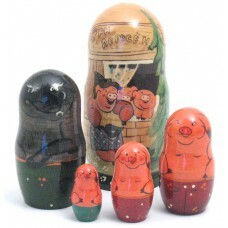 5 Different pieces t.. 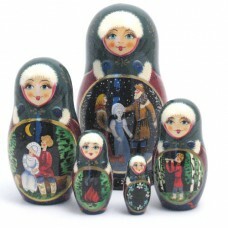 This set of dolls represents the Russian Story of the Ice maiden. 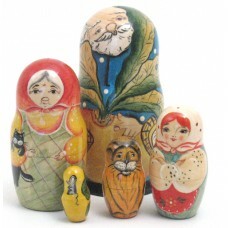 really nice set of dolls and..